An ultra-hydrating, anti-aging moisturizer for dry skin that helps protect from environmental damage. Contains Hyaluronic Acid and Fructooligosaccharides (D-beta) to deeply moisturize helping to prevent water loss, leaving skin hydrated and restored. Tocomin, a powerhouse antioxidant complex of tocotrienols and tocopherol, protect and nourish the skin. A synergistic blend of Clari-NET (Sea Daffodil) and Kombuchka, derived from black tea, has anti-glycation benefits and enhances smoothness, leaving skin smooth, radiant and ultra hydrated. Olive fruit and raspberry seed oils replenish moisture and improve elasticity, reducing the appearance of wrinkles. Helps skin to maintain optimum moisture levels. In the evening apply a thin layer to problem areas. Leave on skin. Use sparingly. The current reviews on this site give an inaccurate impression. (The one about the product having been reformulated so it goes bad after 6 months -- when all Arcona products are clearly labelled to say "best if used within 6 mos of opening"-- is just bewildering. 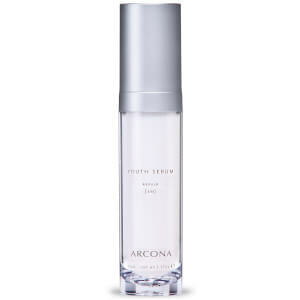 It also appears to have been spammed, since I have read the same review about a number of different Arcona products and anyway, Magic Dry Ice does not discolor, period.) This is actually a great alternative to Magic White Ice which, as many have reported, can be under-hydrating for the over-25 set. It does exactly what it says it will and even works on my husband's hypersensitive rosacea-prone over-50 skin. Gentle and effective, non-greasy and hydrating. 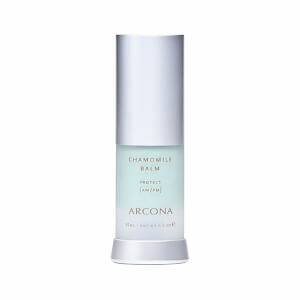 Another great Arcona product. 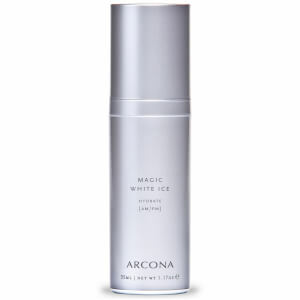 This Product (Arcona Magic Dry Ice) didn't work at all for me. I used it as directed and I there was no change with my skin. It's too expensive not to work. 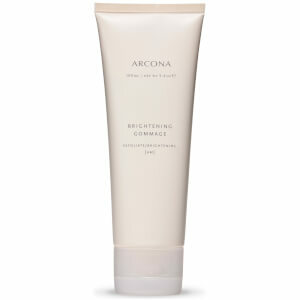 All my facial products were ARCONA - but then they reformulated. When they say use within 6 months now - they mean it. This product turned BROWN and disgusting within 6 months. It smells foul and trust me at this price while I love that they don't have any parabens...their earlier options didn't either they lasted for years. So they've changed their formula or their packaging. Either way - try something else. This new product is amazing. I have been struggling to hydrate my skin after my hormones shifted after having a baby. This product absorbs quickly, moisturizes all day, smooths out my fine lines, is a perfect makeup base, and doesn't get oily in my t-zone. I used to use their other products, but they would always make me oily in the t-zone after a few hours. This is truly the best.